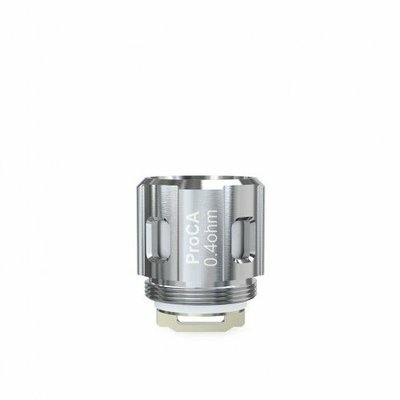 Joyetech ProC DL Coil 0.4ohm is the newly added head in ProC series, which perfectly fits for Joyetech ProCore Air Tank. Joyetech ProC DL Coil 0.4ohm is the newly added head in ProC series, which perfectly fits for Joyetech ProCore Air Tank. Made of high-quality Kanthal, it could be run at 40-80W under wattage mode. With 0.4ohm coil head, it delivers balanced clouds and optimal flavors at the same time!